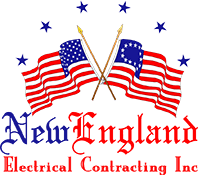 Why You Should Hire an Electrician for Ceiling Fan Installation This Summer - New England Electrical Contracting, Inc.
You may think that installing a ceiling fan seems simple enough. You’re handy around the house, so installing a ceiling fan likely seems like a breeze. Why pay a professional, licensed electrician to do it? Just watch a couple do-it-yourself tutorials on YouTube and you’re good to go, right? Electrical codes: A professional and licensed electrician will have a detailed understanding of all relevant codes related to ceiling fan installation. This means the job will be done safely and won’t put your home and family at risk. For example, you will eliminate the possibility of electrical fires due to faulty wiring. Get the job done right: An electrician will have plenty of experience installing ceiling fans, as this is a fairly standard type of project. They’ll be able to anticipate and solve problems that you probably wouldn’t even notice. They also already own all the proper equipment for installation—equipment you would almost certainly have to buy. Because of all their experience on the job, they’ll get it done quickly, meaning you can enjoy your new ceiling fan right away. Expertise in ceiling fans: Not sure which brand to go with? What kind of ceiling box will you need? When you hire an electrician, you can get their expert opinion about what would be the best choices for your home. Buying a ceiling fan is expensive, so having an expert to guide your decision can be very helpful. Save money in the long run: If the wiring isn’t done correctly, it could have an impact on your home’s entire electrical system. It’s also possible the ceiling fan might not operate properly. Bringing in a professional is a smart move in the long run, as you won’t have to pay for costly repairs in the future. Let’s face it—bringing in the pros is the safest, smartest decision. You can save money in the long run and enjoy a properly functioning ceiling fan that’s perfect for your home for years to come. For outstanding customer service in ceiling fan installation in Trumbull, CT, New England Electrical Contracting, Inc. is your top choice. We’re fully licensed and insured, meaning that you can rest easy while we get the job done safely, correctly and efficiently. We offer a range of competitively priced services for homeowners and business owners, including electrical upgrades, pool lighting, home theater and audio installation, landscape lighting, new construction wiring, surveillance installation and much more. Contact us today to learn more about our services or arrange a consultation for a free estimate. We look forward to helping you stay cool and comfortable this summer!